Our great run on Portnacraig Pitlochry beat continued yesterday with two salmon today, both on fly. The first was a nice salmon of about 16lb caught in the morning on the Pitlochry bank by club member Saul Mackay. 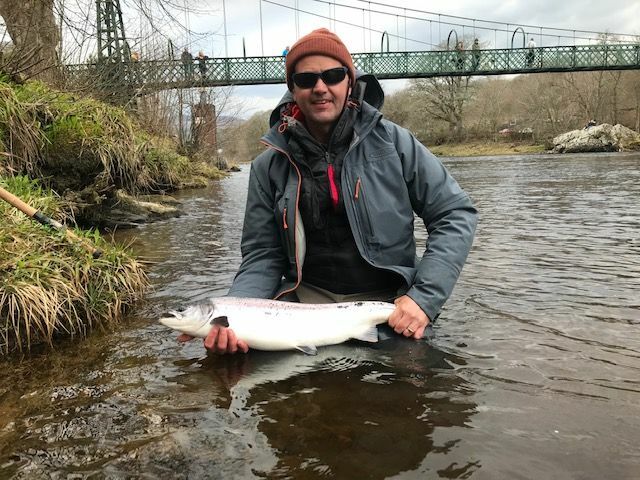 It had been in some time and marks in its mouth showed that it had been caught previously - indeed it may be the same fish which has been mentioned on the news blog as having already been caught twice. 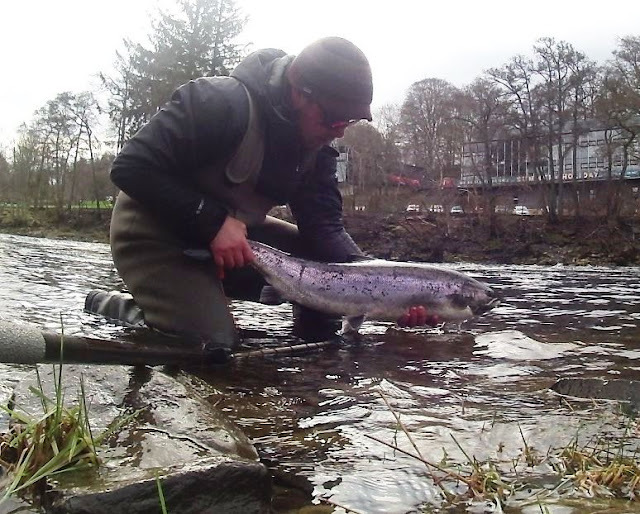 Then in the early afternoon regular visitor Alan Greene had a very nice fish of about 10 lb off the Port na Craig bank. So well done to both anglers.